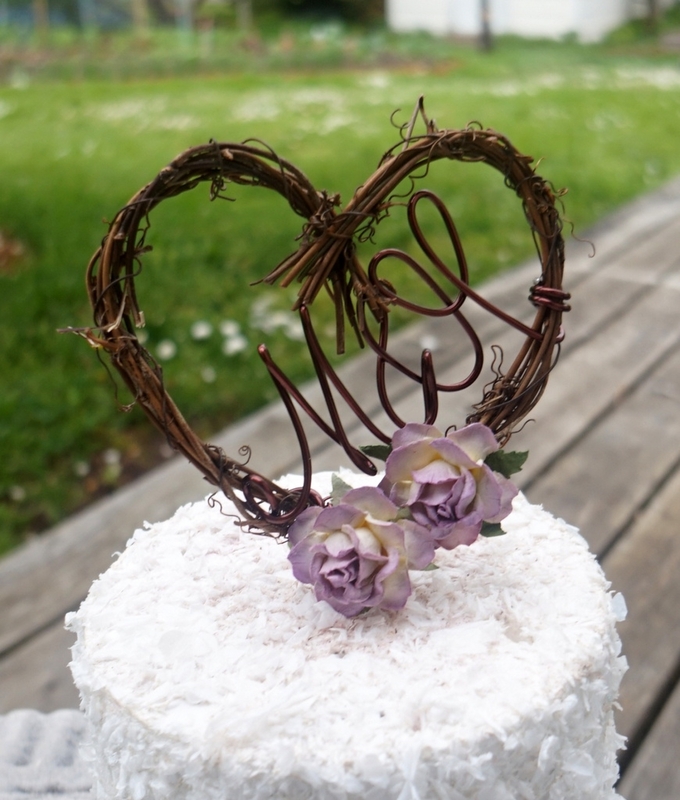 Charming and country chic handmade rustic vine cake topper featuring purple paper roses and your own custom letters. This original design will be personalized for you in your initials for a sweet and romantic touch to your wedding celebrations. Simply enter letters in the box provided. 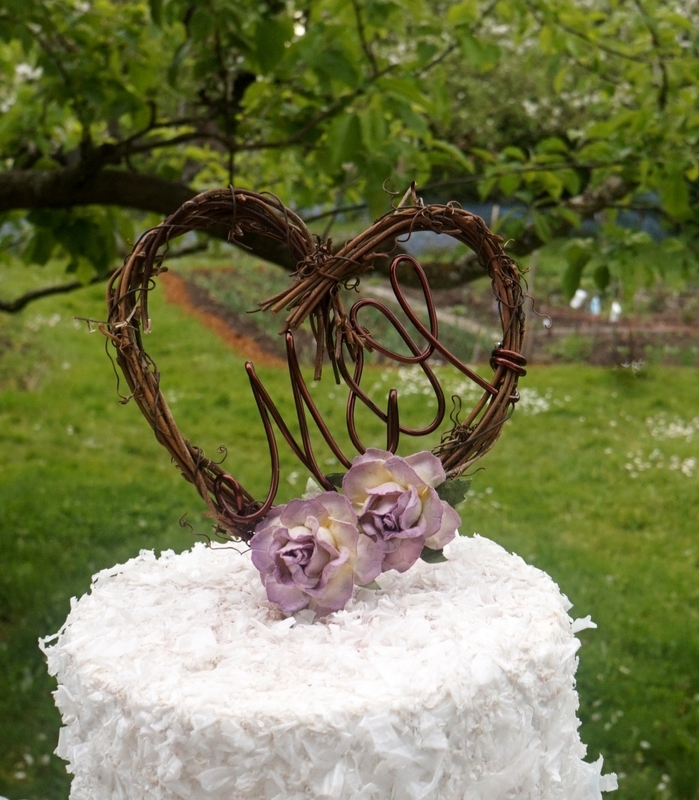 Natural grapevine, non tarnish wire, mulberry paper flowers and a wooden dowel for insertion into your cake. 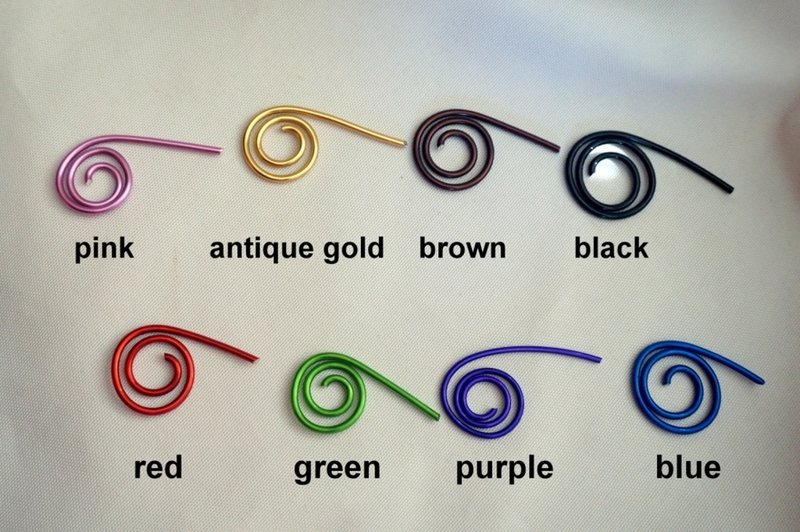 Approximately 5 x 4 inches but may vary slightly due to the nature of handmade (and grapevine!) Do you need larger? Just send me a message via the contact button.